The Newest Rant: There Isn't That Much Excitement For the Return of a Fantastic Four Comic-Book, Is There? There Isn't That Much Excitement For the Return of a Fantastic Four Comic-Book, Is There? As big comic book companies are wont to do, big-name characters sometimes die and/or have their comic-book cancelled on occasion. This occurs often at Marvel. Back in the earlier 2000's it happened with Thor and there was as lot of hubbub when he came back to life. At the end of Marvel's event, "Civil War," Steve Rogers was assassinated and Bucky became Captain America for a bit until the momentous return of Steve Rogers some time later. This brings us to how a handful of years ago the comic, "Fantastic Four," ended, arguably because Marvel's head who then held a lot of power, Ike Pearlmutter, was mad that Fox wouldn't cooperate with Marvel in regards to film-rights with the Fantastic Four. The book was cancelled and there was a good deal of outcry. Then...people basically quit caring. 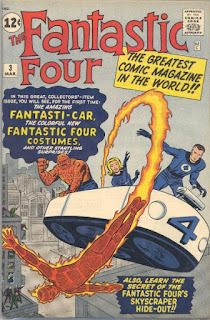 "The Fantastic Four," comic ended, the most recent attempt at a movie tanked at the box office, and everyone stopped even pretending they had any interest in the Fantastic Four. Then things got more complicated. Marvel started the process to acquire Fox and all the properties that were sold to it years ago such as, "X-Men," and, "Fantastic Four." Then Marvel announced some months ago that they were pleased to be bringing back the, "Fantastic Four," comic and the crowd went...really, really mild. Yes, apparently there wasn't much clamoring for the Fantastic Four to return in a comic-book, with most people greeting the news with a shrug. My reasoning for this is that people who seem to really like reading a comic with the Fantastic Four don't seem to read much else from Marvel, and vice-versa. While the team were a big deal some decades ago, as time has gone on people view them kind of as a quaint and outdated idea. It's a happy little family that goes on big science adventures. They're fun, but lack the gravitas of some other Marvel heroes. 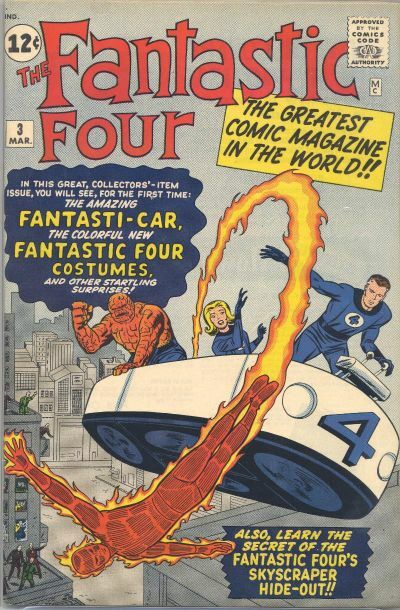 Hence, the Fantastic Four come back in a comic, and nobody seems to care. I mean, it is back in a matter of weeks, and the response is crickets. Sometimes when Marvel has a new event-comic or a big-deal first issue being released they will have comic-stores do a big party with promotional items, cake, and the like. The only thing I've really seen done to build hype for a new, "Fantastic Four," comic is some little postcards that practically beg, "Please don't forget we are bringing this back." Perhaps Marvel sees there isn't much excitement for the, "Fantastic Four," comic and is disappointed, or maybe this response was expected and they just feel like they need to have a comic in print if they're going to start making movies with the characters once they have the full rights from Fox being acquired. 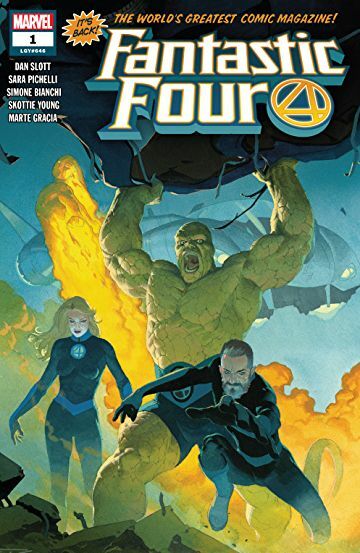 I am not sure what Marvel thinks, but I am sure they see what I and everyone else sees, that the response to, "Fantastic Four," returning as a comic is pretty much equal in excitement to when the comic still existed--people acknowledge it, but don't really get excited. Hopefully when the book comes out in less than a month it'll at least be decent. not crickets here....I've been waiting for this since the day it was cancelled....I used this time to fortify my back issue collection and now I'm ready for some new adventures with the First Family! Another Awesome Toyman Show Has Concluded! Is, "No Man's Sky," Worth Playing Now?